Both the creativity of artwork and the creativity of design for a particular space, or environment, start with a commonality – that of composition. 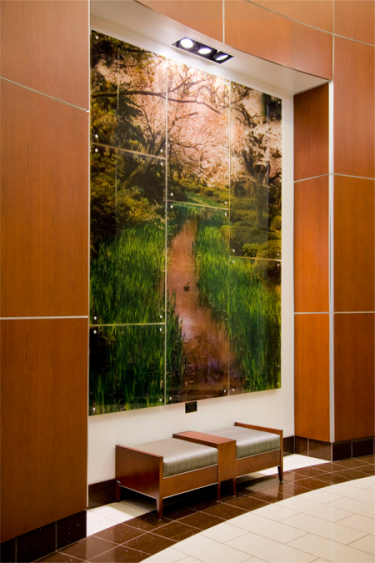 The artist creates the art piece with a mental image of how he/she would want it to look and feel, not unlike how a designer, consultant or architect creates a specific desired atmosphere for their client. The selection of artwork that will be included in the project of a designer, consultant, or architect has to “work together” to create the perfect look the client expects. Flexible to satisfy designer and client needs.